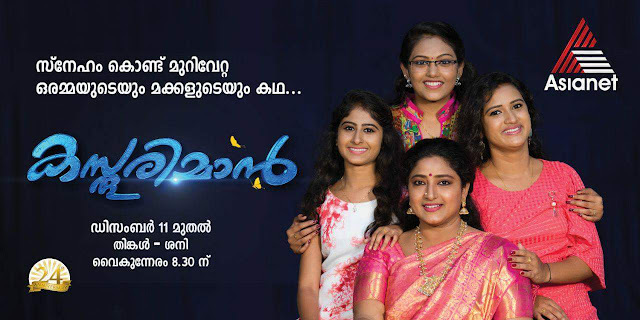 Asianet will launch a family drama ‘Kasthooriman’ on 11 December. The show will every Monday- Saturday at 8.30 pm. It revolves around three girls Kavya, Keerthi and Kalyani and their life journey and the struggles to maintain their family legacy which is the ancestral property Kalakshetra.